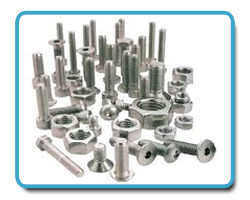 Suraj Steelmet is Exporter and Supplier of superior quality Stainless Steel Fasteners. We possess technical know-how and understand the quality standards. We want to cater utmost possible clients, thus, undertake challenging demands too. 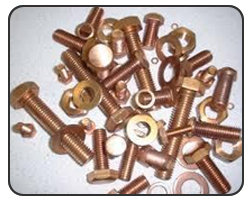 Our extensive range of fasteners in diffrent material type, designs, sizes and specifications. Although fasteners are very small components but these pocket elements do wonders. 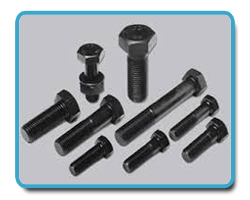 There are various common type of fasteners like Bolts, Nuts, Screws we use in our day to day life. But, for industrial purposes object is to export fasteners with prominent features. We do not compromise with any of the stage involved in its export. Fastener’s designs are not complex but threading precision is what makes the competitive difference. At Suraj Steelmet all aspects are considered, studied and accordingly approach is planned. We have standardised products in stock and also welcome customised demands. All round excellence with overall perfection helps us accommodate changing demands without any hitch. Employing first-class raw material and new-age technology keeps all flaws at bay. Consistency has lead us grow immensely as Stainless Steel Fasteners Exporter. Skilled engineers, and experts are the backbone of our company as they have all the needed skills that helps us grow markebly. Duplex stainless steel is strong, tough, corrosion & stress cracking resistant than other alloys. The main problem arise while welding duplex stainless steel equipment. If the properties are balanced properly then welding issues can be controlled. With the assistance of skilled professionals we have the best composition exporting of the steel market. The properties of stainless and duplex steel can be used to make best fasteners and we extract the best from them. Nickel alloy fasteners remain in demand because of its strength and ductility. Nickel and copper alloys with right combination results in resistance towards corrosion, erosion and cavitation. Both of these alloys have their interesting demands because of their specific characteristics. We offer wide grades in order to cater every type of demand. The grade selection and the processing technology enhances the properties. Industrial Bolts :Stud bolts, hex head bolts, socket hexagon head screw anchor bolts, u-bolts, j bolts, mushroom head square neck bolts, t- head bolts, wing screw bolts, eye bolts, foundation bolts, structural bolts. Industrial Nuts :Hexagon nuts, Hexagon coupling nuts, Hexagon thin nuts, Square nuts, Hexagon castle nuts, Self locking nut, Hexagon domed cap nuts. Industrial Washers :Plain washer, plain big & small washers, spring lock washers, spring washers heavy duty, tooth washers, star washers, tab washer with one & two tab. Industrial Screws :Pan head slotted screws, hexagon head screws, cheese head slotted screws, countersunk head slotted screws, countersunk raised head slotted screws, Pan Phillipse Head Screws, Countersunk Phillipse Raised Head Screws.